elcome to the Brown & Campbell Collection. 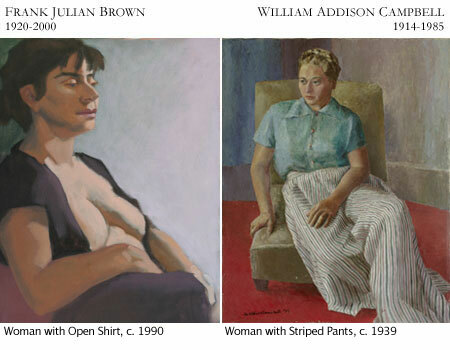 For fifty years the work of the two formally trained artists had been obscured by their own choice until their death. The estate trustees are pleased to now present it to the art and artist community. Together in life and art they produced the 793 paintings in the Collection that were found in their Victorian San Francisco home of 45 years.